Two earthquakes within three minutes rattled the island of Karpathos in the South Aegean Sea Friday noon. 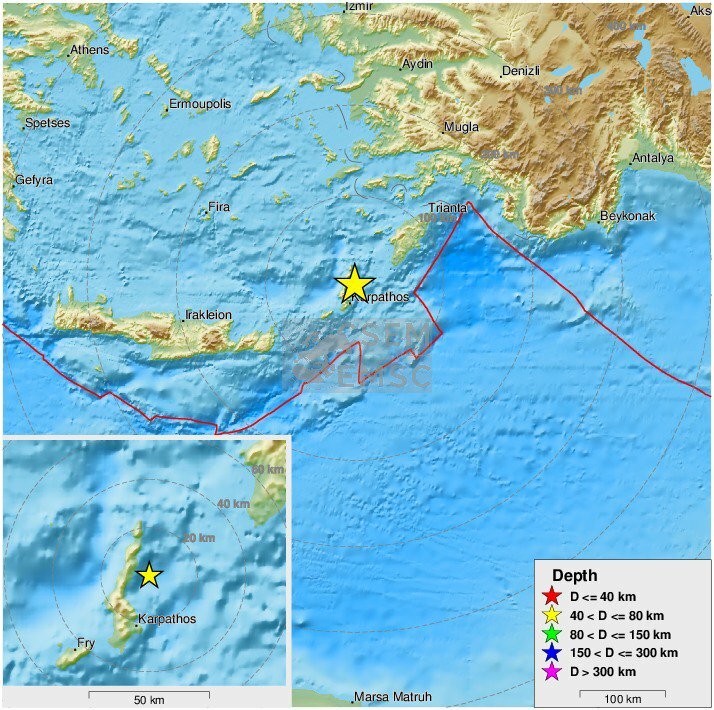 The tremors occurred hours after another earthquake had stroke the island of Zakynthos in the Ionian. The first earthquake stroke Karpathos with 4.1R at 12:29. Three minutes later, at 12:32, the second one stroke with 3.8R. The epicenter was 31 km North-East of the island. 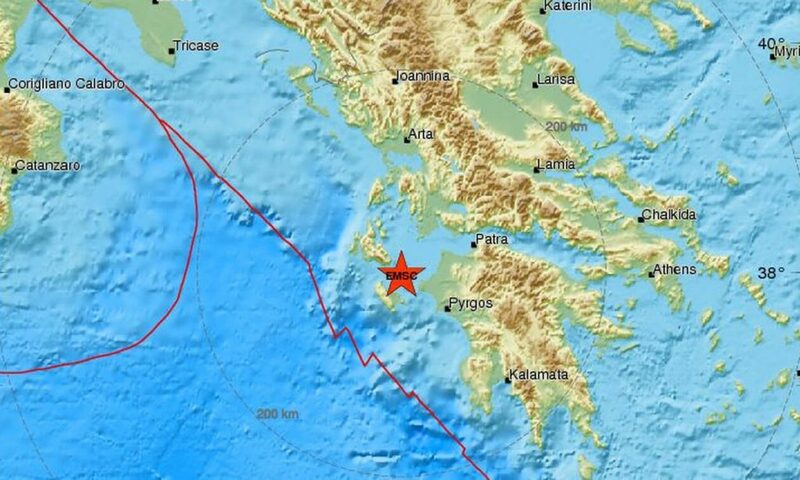 At 7:01 in Friday morning an 4.4R earthquake hit the sea area off Zakynthos. The earthquake epicenter was 20km North-East from the island’s capital. None of the earthquakes has caused injuries or material damage.